Topic started 2 years ago by Remy in The Joshua Tree 2017 tour. Since then 2,222 posts have been made by 159 users. 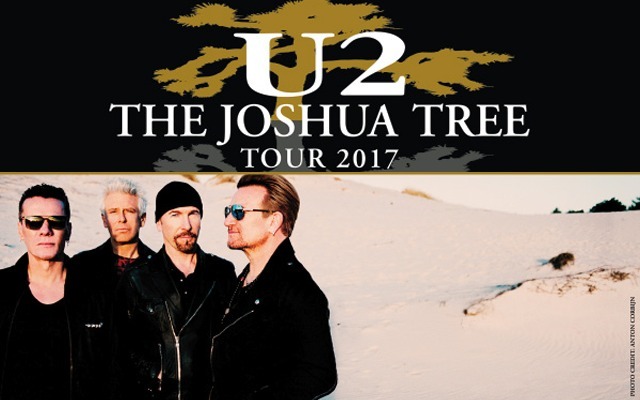 The Joshua Tree Anniversary Tour will hit Vancouver, BC. Some of the U2start crew will also be in Vancouver, see you around! You can download Sil Rigote's mixlr here. Disclaimer: it's only 1 mp3 file. Many thanks to Sil and to adrien73 for recording it and submit it to us. I shall not be boarding until it reaches London. Originally posted by iTim :I shall not be boarding until it reaches London. Serious? Trying to be spoiler free? Indeed. I cannot cover the US leg as I did in 2015, and will be attending the opening night of the European leg, so it seems like a good time to give it a shot. hahaha, poor guy. No twitter, no facebook, no forums... For almost 2 months. Really? I guess I could go spoiler free since Rose Bowl shows are also in May, but personally I'd rather be in the know. To hear about it is one thing, but to experience it is something that can't be ruined by simply knowing. I too, won't be aboard until the London shows, but by all means will be tuning into as many of these shows as humanly possible. Will definitely not be missing this one, the buzz and excitement is growing every day, less than a month to go! I guess I'm the only one being not excited at all maybe too many i&e in 2015, don't know. Vancouver, wake me up.